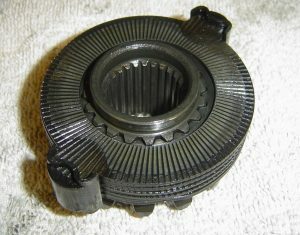 One of the least understood drivetrain components is the limited-slip differential. 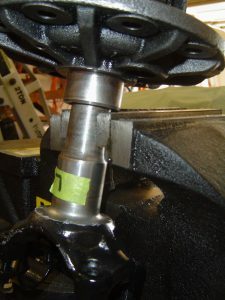 In Chapter 10 the function, disassembly, and rebuilding of this part of the Dana 36 is extensively explained and illustrated. 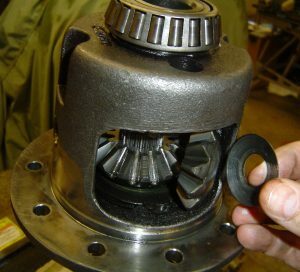 Inspection and replacement of all worn or damaged parts is explored, along with all the necessary tools for the job. 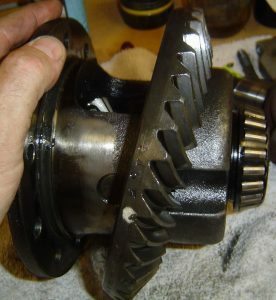 With 65 color photos in 25 pages, this chapter meshes (sorry, gear joke) nicely with Chapter 9, and gives clear instructions on how to rebuild your Dana 36 differential. 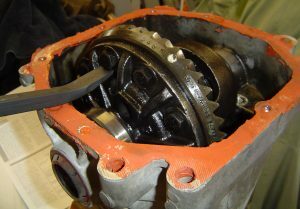 First, is the removal of the differential from the carrier. A method of maintaining part orientation is discussed too. Next, the chapter shows how to remove the ring hear from the case and check for damage or wear. 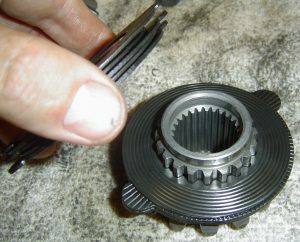 From there, we reveal the best way to secure the unit, and the difficult task of removing the internal gears and clutch packs. 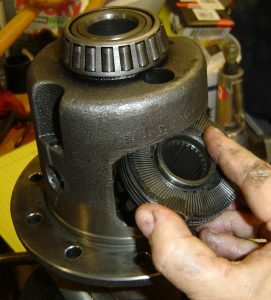 An important part of disassembly of your differential case is how to spot damage or excessive wear. Putting bad parts in the rebuild will yield severe frustration. 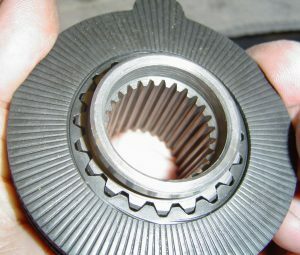 This chapter reveals in detail the areas of the differential that can wear down over time and use. We also show you how to repair salvageable pieces. 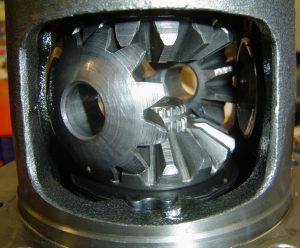 The purpose of a limited-slip differential is also discussed, and the advantages of the Dana 36 are explained. Also, the disassembly vs. assembly steps are different and are shown extensively. 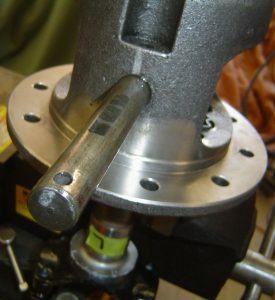 While no specialty tools are needed, the method used is still unique, safe and effective. The chapter not only instructs on how to rebuild this important component, but also explains the function of each piece of the differential. Like most tasks, re-installing the parts is more difficult than tearing them down. I show you how my steady method overcame the tight tolerances during assembly of the case. No other repair manual provides the detail and explanation of this volume. 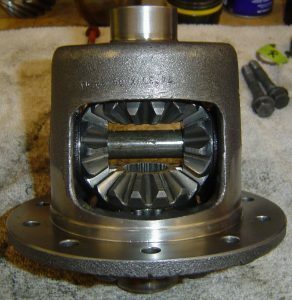 You can save hundreds of dollars, and get bragging rights with your buddies, by rebuilding your Dana 36 differential using this chapter. 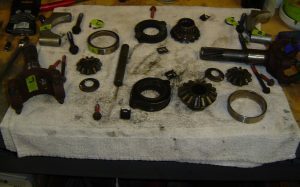 With some effort, and a healthy dose of patience, any beginner can tear down and rebuild their Dana 36. Visit the Bookstore today! 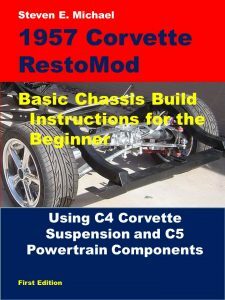 All beginners have to start somewhere, I my book speaks directly to the novice hot-rodder of Corvettes.